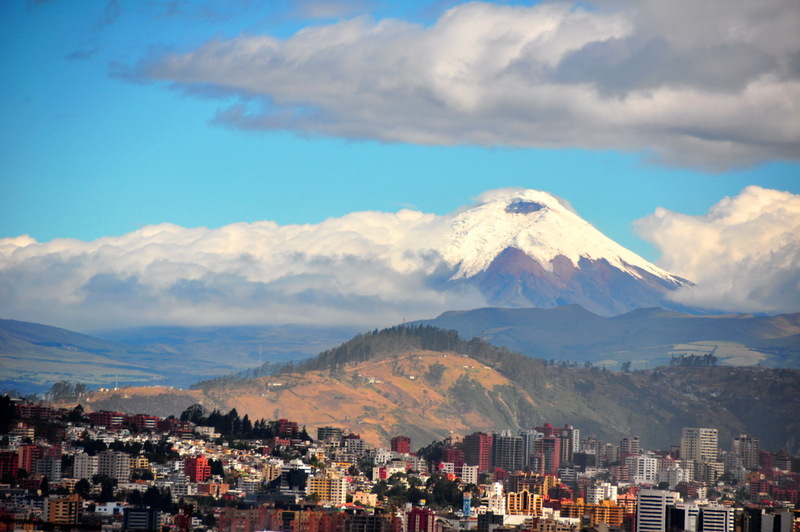 Quito sums up Ecuador perfectly – it may be smaller than other South American capitals, but that only serves to make it less intimidating and as a result even more appealing. The city has just as much cultural heritage as its competitors, as well as the best preserved Old Town of any of them, but with a much more relaxed and welcoming atmosphere that makes it the perfect place for fresh faced backpackers to get to grips with Latin America, or seasoned travellers to catch a break after the chaos of Rio, Mexico City or Buenos Aires. The beautiful Colonial era monasteries, churches and plazas of old Quito are the first attraction for most visitors, but the city is much more than an open air museum – Old Town is very much alive today, with traffic and noise, with devout nuns, with students that sit in the cafés between lectures. Come the evening most travellers head north, to New Town, where the shopping centres, art galleries and bars are the main attractions. The area around Plaza Foch and the playfully named ‘Gringolandia’ is famous for its cool bars and relaxed atmosphere. Just north of the city lies La Mitad del Mundo (Middle of the World City), a huge monument that marks the equator line. The only problem is it is a few hundred metres off the actual equator line… oops! Never mind, the real one is just a ten minute walk away, and you can have yourself a typically touristy photo at both.